In past few days many websites posted the same news (including Petapixel and others) that Canon 6D successor is dead and instead of Canon 6D Mark II camera Canon will going to announce a entry level mirrorless camera that will use EF lenses. I don’t think the rumor is correct and someone totally misguided these websites, it may be a step to create panic among Canon users so they move towards different brands. Be assured as far as I think Canon won’t going to kill its ultra popular 6D Mark II camera at any cost. 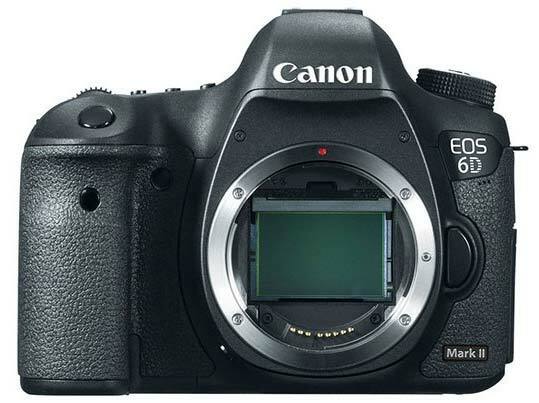 Canon 6D is one of the most hot selling DSLRs of Canon from the day it has been announced. Mirrorless camera have flange distance of approx 20mm whereas DSLRs have 40mm due to mirror inside, to make use if Canon EF lenses to Canon Fullframe mirrorless they have to create a long barrel mount to support EF lenses. Use of most complete lens line in the world – We have received rumors in past the Canon Fullrame mirrorless may use EF lenses. A Canon DSLR camera with its longer lens flange its a small negative comparing to the big plus of being able to use the with the advantages of mirrorless. So there is a possibility, but that doesn’t mean Canon will going to kill its DSLRs. Canon do have fullframe mirrorless patent in past as well, so it’s a clear indication that a team inside Canon is working in the direction towards the development of brand new mirrorless lenses for upcoming camera. Canon won’t going to kill ultra popluar DSLR with a newbie camera. Yes, as in past we have seen Canon EOS M5 announced with same sensor as of Canon 80D DSLR, it is possible that Canon may announce fullfame mirrorless camera with same sensor as of Canon 6D Mark II. We will update you soon as we get any new information related to 6D Mark II camera. I am a long term Canon Fan and although based in South Africa, I can buy anywhere anywhere in the world. My Preference is for Large Bridge Camera ( 1 to 2 Lens). This will be my last Canon Camera purchase as I have a Terminal Illness ! !